Not long ago I posted a list of things I’d learned from attending so many Svengoolie public appearances; listing “making new friends” as Number Seven. Today I’ve been given a painful reminder that this should actually have been number one. I received a call from my friend, Bill Yingst, informing me that his beautiful wife, Joan (far right in the above photo) had died, suddenly, this morning. Joan was not only a contributor to this blog but had become a dear friend and I felt as if I’d been hit with a baseball bat. When Terror from Beyond the Daves was relatively new, we’d post our links onto our Facebook page and hope for the best. Many times our posts would just sort of sit there looking pitiful until I started noticing that there was at least one person who was guaranteed to “Like” them. Her full Facebook name was Joan Gibbemeyer Yingst whom, at that time, wasn’t a social media “friend” to either David nor myself. In many ways she represented the ultimate blogger goal…a faithful reader who discovered us on her own and liked what we were doing. On February 2012, I decided to send her a message and thank her for always being so kind to us. Shortly after that we became Facebook friends and she started telling me about how she’d grown up with the Son of Svengoolie, like me, and it had been our stories of the horror host that brought her to the site. At 45 years of age (46 at the time of her death), Joan had raised three boys with her high school sweetheart-turned-husband, Bill, and was ready to start embracing her childhood interests which, for her, meant fan conventions, old school monster movies, and her childhood host (now simply called Svengoolie). I finally met them at the 2012 C2E2 convention. 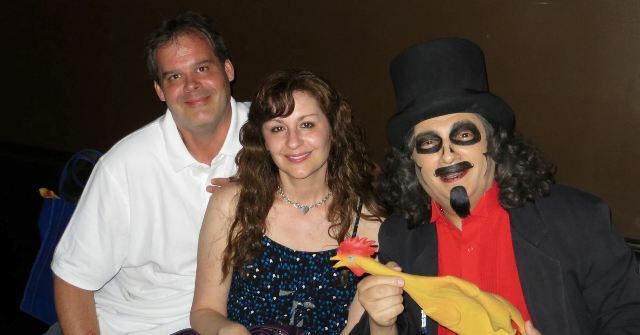 Joan had met Svengoolie before but was now starting to become a “regular” at his appearances like me. 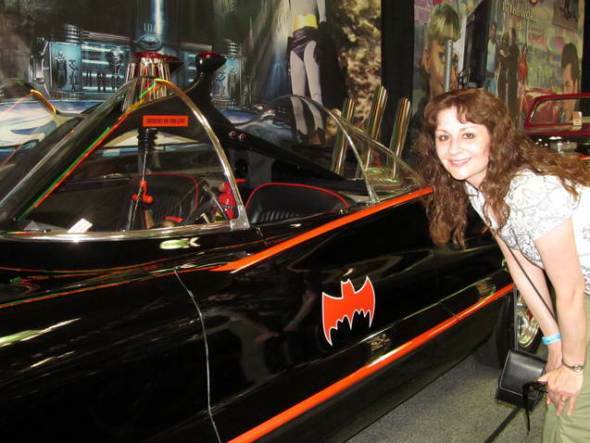 Later, that July, I asked if she’d share her experience of visiting the George Barris Charity Car Show at the Volo Museum (the results you can see HERE). In fact, Joan would prove to be both a quick wit and entertaining writer and it would not be the last time I’d ask for her assistance. She’d go on to cover Sven’s appearance at Tom & Eddies while I was in New England as well as contributing to the Svengoolie Scary Monsters Magazine Tribute issue. Her article has always been one of my favorites because it perfectly captures her incredible sense of humor. During The Squared Circle Svengoolie appearance last July she had a great time (as we all did) and won a shirt during a Svengoolie trivia contest. I was driving home late that night when she sent me a text saying, “Dave, thank you so much for letting me be a part of your Svengoolie world.” I told her that I appreciated that but it wasn’t my world to give and she’d already been a part of it long before I entered the picture. 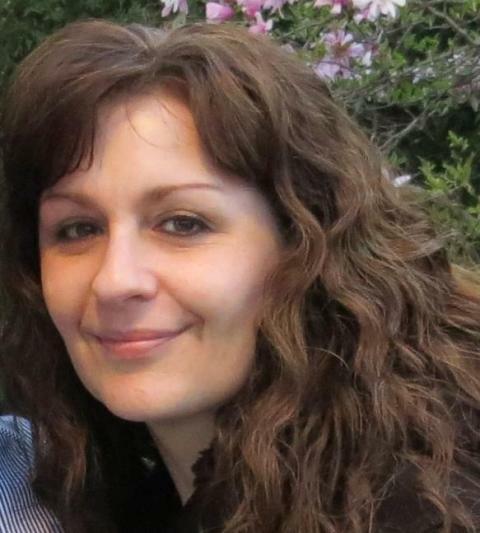 We communicated several times a week and, this past year, she’d often wish me a good morning or ask what I was doing with my kids that weekend; something that always meant a lot to me and shows what a great friend she truly was. Because I’ve done so much Svengoolie-writing I recently suggested that she start covering his appearances in an effort to give a fresher perspective and she happily agreed. 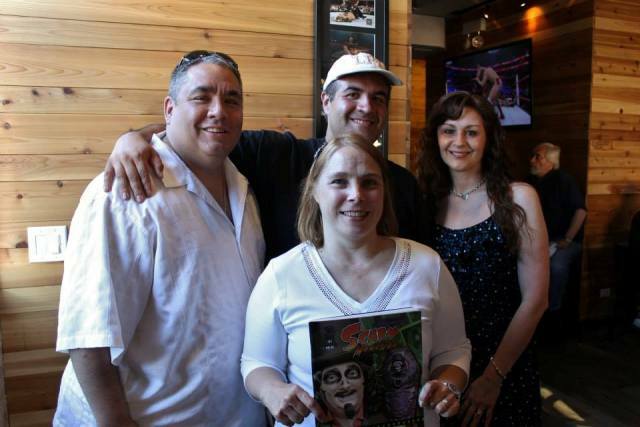 She was so excited about the whole idea and us all becoming a tight group that she wanted to make T-shirts that said “Sven’s Goolies” for myself, Brian Bernardoni, Elizabeth Haney, Jamie Lee Cortese, and Ron and Angela Urban – the Svengoolie regulars. During Flashback Weekend last month I hung out with her and Bill most of the day and we went out to dinner together. The Flashback Weekend posts have already been written and she’s a big part of them but have yet to be posted. I have decided to leave them “as is” because, so far as this blog is concerned, Joan will always be very much alive. Joan and Bill had an amazing marriage and she clearly loved him as well as their three sons. I can not fathom the pain that family is going through right now in lieu of this tragic loss and urge everyone reading this to give warm thoughts and prayers to the Yingst family at this time. Joan is evidence of something Elizabeth Haney had said to me earlier this year, “Svengoolie is one celebrity that manages to bring great people together.” And you, my dear friend Joan, will always be one of the greatest. This entry was posted in In Memoriam, Stalking Svengoolie! and tagged C2E2, Flashback Weekend, Joan Yingst, SCARY MONSTERS MAGAZINE, The Squared Circle. Bookmark the permalink. ← Rhinos, Wrestlers, and Rich Koz! Conservation with a touch of Svengoolie! That is a beautiful memorial, Dave. I hope that you and all her friends and family find healing and comfort in happy memories. Thank you, Sandra. She was an incredible lady. Joan’s passing is a terrible shock during what has been an awful week.She was a lovely wonderful person, and I will miss her so much. Beautiful job, Dave…Joan was a very sweet woman with a fantastic sense of humor. I miss her.